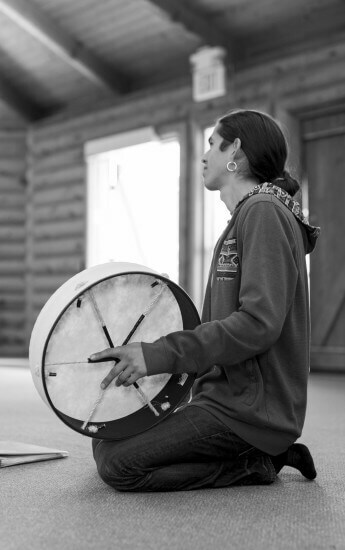 IAIA has had a long and distinguished history of Performing Arts on its campus, with numerous alumni and faculty making significant contributions to the field. 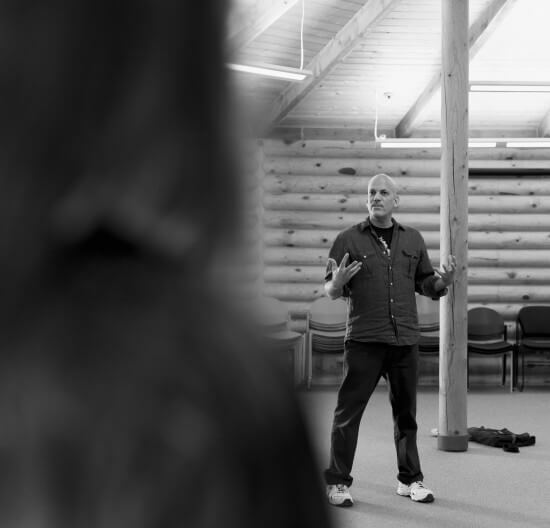 In 2014, the IAIA President’s Cabinet passed a resolution in support of reviving the Performing Arts, which has not been an official program since the mid-1990s. The newly launched program recognizes that the field of performing arts is ever-changing and artists have multiple aspirations and motivations for entering the arts. Assuming leadership in these arts practices while building skills as arts educators. Performing Arts offers a 21-credit Minor, course and internship credit, extra-curricular workshops with leaders in the field, and access to on- and off-campus events, all designed to expand students’ appreciation of and experience in the performing arts. Some Performing Arts courses also count for the public speaking requirement. 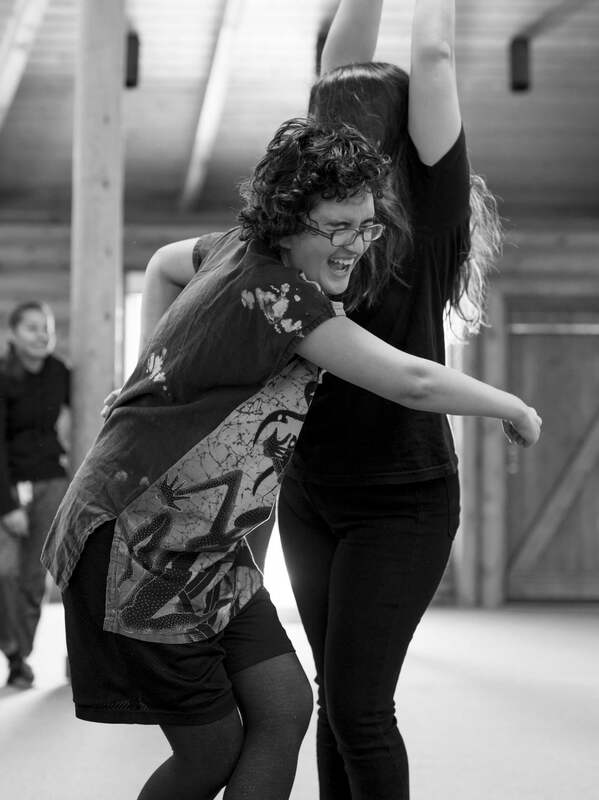 The program’s mission is “Self-expression, community building, and leadership through the Performing Arts.” We believe in the power of the arts to impact positively the lives of both individuals as well as society as a whole. The three pillars of the Performing Arts program—performance, applied arts, and arts education—prepare students for multiple ways to work in the field upon graduation and to live full and productive lives as artists. To inspire collaborative work through the art forms of music, theatre, and dance. To encourage interdisciplinary work and performance that integrates all three forms. To explore the intersections and divergences of Native American and non-Native performance techniques, histories, and forms. To promote time and project management skills. Identify the originators and leading contemporary artists of Native American performance and key figures in world performing arts. Be able to discuss performance aesthetics and their connection to history, culture, and politics. 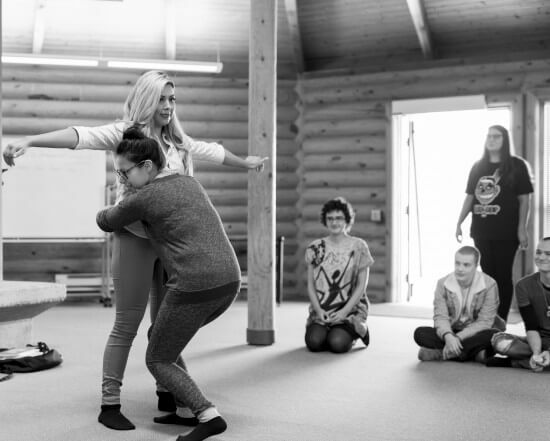 Effectively lead a drama or applied arts workshop. Successfully collaborate on a production in a performance or design/production capacity. Express their opinions clearly and with conviction verbally and in writing. Connecting with tribal and other communities to share the work explored and created in the program. Collaboration, community service, and experience in technical theatre are part of the pedagogy of the Minor. As part of course requirements, students will work to contribute to the life of Performing Arts on campus.